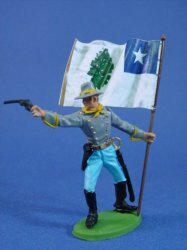 This superbly detailed 54mm custom Confederate officer with dynamic 10th Mississippi Rankin Rifles regimental flag is meticulously hand painted to the highest standards. 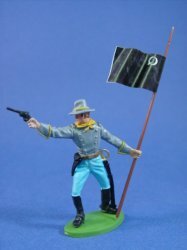 This superbly detailed 54mm custom Confederate flag bearer with dynamic 17th Texas Cavalry regimental flag is meticulously hand painted to the highest standards. 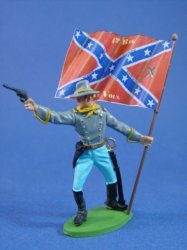 This superbly detailed 54mm custom Confederate flag bearer with dynamic 1st Maryland Cavalry regimental flag is meticulously hand painted to the highest standards. 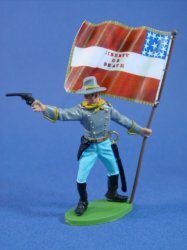 This superbly detailed 54mm custom Confederate flag bearer with dynamic 1st Texas Cavalry regimental flag is meticulously hand painted to the highest standards. 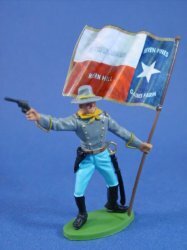 This superbly detailed 54mm custom Confederate flag bearer with dynamic 20th Texas Volunteers regimental flag is meticulously hand painted to the highest standards. 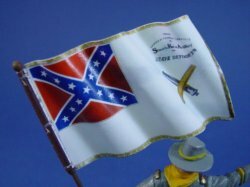 This superbly detailed 54mm custom Confederate flag bearer with dynamic 2nd Louisiana Cavalry regimental flag is meticulously hand painted to the highest standards. 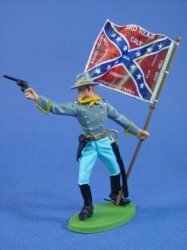 This superbly detailed 54mm custom Confederate flag bearer with dynamic 3rd Mississippi regimental flag is meticulously hand painted to the highest standards. 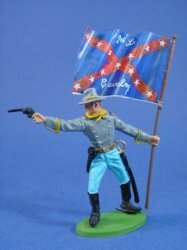 This superbly detailed 54mm custom Confederate flag bearer with dynamic 3rd Tennessee Cavalry (General Nathan Bedford Forrest) regimental flag is meticulously hand painted to the highest standards. 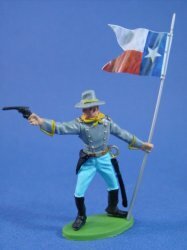 This superbly detailed 54mm custom Confederate flag bearer with dynamic 3rd Texas Cavalry regimental flag is meticulously hand painted to the highest standards. 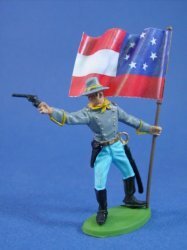 This superbly detailed 54mm custom Confederate flag bearer with dynamic 4th Alabama Canebreak Rifle Guards regimental flag is meticulously hand painted to the highest standards. 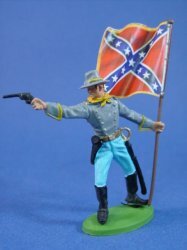 This superbly detailed 54mm custom Confederate flag bearer with dynamic 5th Georgia Cavalry regimental flag is meticulously hand painted to the highest standards. 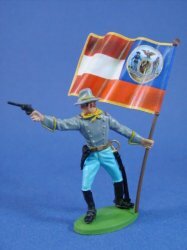 This superbly detailed 54mm custom Confederate cavalry officer with 5th Virginia Princess Anne cavalry regimental flag is meticulously hand painted to the highest standards. 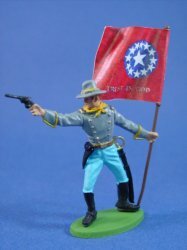 This superbly detailed 54mm custom Confederate flag bearer with dynamic 6th Regiment Kentucky Volunteers regimental flag is meticulously hand painted to the highest standards. 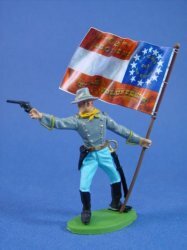 This superbly detailed 54mm custom Confederate officer with dynamic Army of Kentucky battle flag is meticulously hand painted to the highest standards. 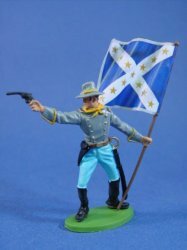 This superbly detailed 54mm custom Confederate cavalry officer with dynamic Rebel Battle flag is meticulously hand painted to the highest standards. 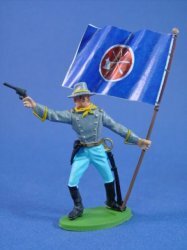 This superbly detailed 54mm custom Confederate flag bearer with dynamic Choctaw Brigade flag is meticulously hand painted to the highest standards. 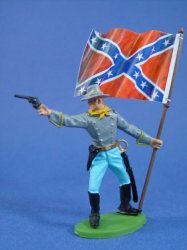 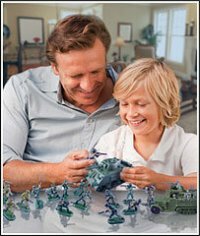 This superbly detailed 54mm custom Confederate flag bearer with dynamic Stuart's Artillery flag is meticulously hand painted to the highest standards. 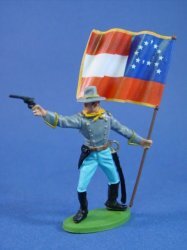 This superbly detailed 54mm custom Confederate flag bearer with dynamic Stuart's Cavalry regimental flag is meticulously hand painted to the highest standards. 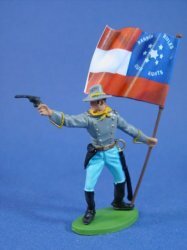 This superbly detailed 54mm custom Confederate cavalry officer with First Confederate Flag (1861 National Flag) is meticulously hand painted to the highest standards. 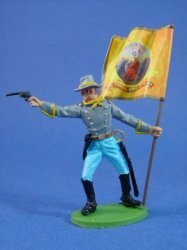 This superbly detailed 54mm custom Confederate cavalry officer with dynamic cavalry guidon is meticulously hand painted to the highest standards. 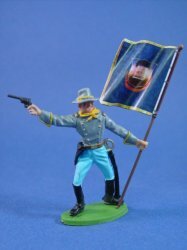 This superbly detailed 54mm custom Confederate cavalry officer with General Robert E. Lee Headquarters flag is meticulously hand painted to the highest standards. 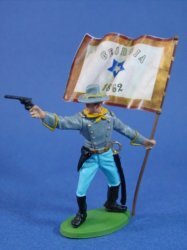 This superbly detailed 54mm custom Confederate cavalry officer with dynamic Quantrill's Raiders guidon is meticulously hand painted to the highest standards. 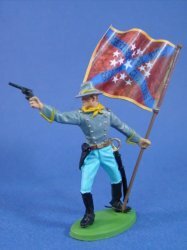 This superbly detailed 54mm custom Confederate flag bearer with dynamic Robertson's Cavaliers regimental flag is meticulously hand painted to the highest standards. 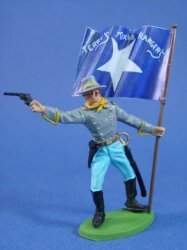 This superbly detailed 54mm custom Confederate flag bearer with dynamic Terry's Texas Rangers regimental flag is meticulously hand painted to the highest standards.